New Bios Chip for HP ELITEBOOK 840 G1, tested, (Dual- Main+EC), No password! Microsoft Windows 10 Pro Full KEY FaST EMAIL DELIVERY No Physical Item. 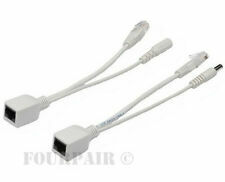 The complete Passive Power over Ethernet Kit contains two pieces -INJECTOR and SPLITTER. Power Connector Barrel size is 2.1mm (5.5 x 2.1 mm). Suitable for products that basically do not support Power Over Ethernet. Supports 5V, 12V, 24V, 48V. PoE Injector Splitter Kit. Quantity: 1 Kit = (1) Injector (1) Splitter. Splitter: RJ45 Female to RJ45 Male Power Out. Injector: RJ45 Male Power In to RJ45 Female. Uses industry standard 5.5mm x 2.1mm power plugs. 12V 1A POE injector. Compatible Models. Input/Output 3V~48V. Gigabit Passive PoE Power Injector (AC Adapter Required ). It is especially design for outdoor networking facility and low port density installations. AC adapter or DC injector required to operate. 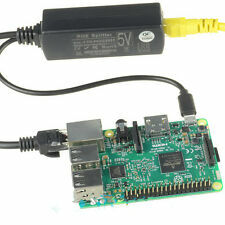 48V 0.5A PoE Injector Power Over Ethernet Adapter. Just plug the network cable(not included) into your network switch and into the "LAN " port, then plug the cable to your device into the "POE " port with your existing network cable. Active PoE Splitter Power Over Ethernet 48V to 12V (15.4watt) Compliant with IEEE802.3af With 2.5KV isolation. Compliant with IEEE802.3af 15.4W. 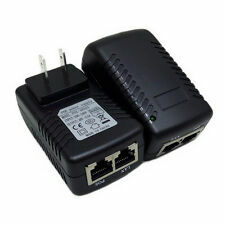 Support 48V Unsolicited Power Over Ethernet PoE Switch. Disponible para tablet android/ Fire TV/ Stick, Android boxes, Android phone. 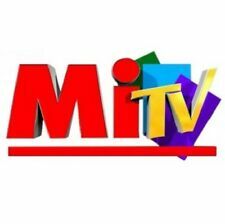 This is only for IPTV subscription No physical item is included. ============================================. Canales en vivo inglés y español. PoE injector and splitter kit with 5.5 2.1 mm DC jack / plug. 5 x PoE splitter cable. Transforms Non PoE devices to PoE enabled. 5 x PoE injector cable. 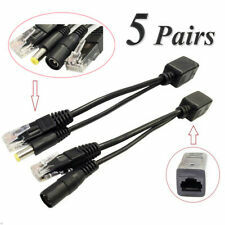 Splitter: RJ45 Female to RJ45 Male Power Out. This kit contains a POE injector (POE100) which allows for either an active (48V) or Passive (12V) DC input for complete flexibly. 1 PoE splitter. 1 PoE injector. On the other side, you can easily select your output. The 48V Universal, High Power PoE Adapter with Gigabit LAN Port from Ubiquiti Networks powers a variety of Ubiquiti PoE devices belonging to the airFiber, airMAX, airVision, UniFi, and mFi series. Powers Ubiquiti airFiber, airMAX, airVision, UniFi, and mFi PoE devices. You can go here . 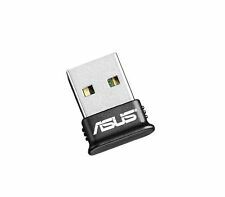 Compatible with IEE802.3af/at. POE protocol. POE Power Protect Included: 1 X POE Power. 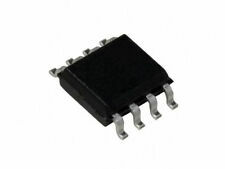 Indicator Light Input Stabilivolt Accuracy: -48V DC±2%. Max Input Power:12-48W. Light On: Working. 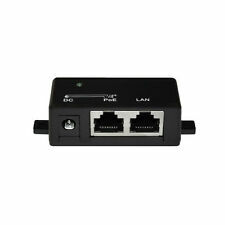 Active PoE Splitter Power Over Ethernet. Power Input: DC48V. Power Output: DC5V 2.4A. C olor:as picture show. Passive (no power adapter) POE/POE Injector. Data/per port: Pins 1&2/3&6. Power/per port: Pins 4&5/7&8. Work with any Ethernet switch. PoE injector and splitter kit with 5.5 2.1 mm DC jack / plug. Transforms Non PoE devices to PoE enabled. 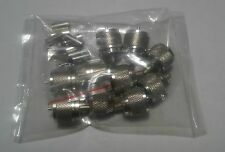 2 Pairs(4 Pcs) INJECTOR andSPLITTER. Power Pins 4,5 and 7,8 -. We will do our best to solve your problem as soon as possible. WCB3000N Wireless Network Extender: connects to a coax outlet in a different room to extend ultra-fast wired network, and provides robust Wi-Fi performance. - Two Gigabit Ethernet connections. Everything You Need For Maximum Wireless And Wire Performance. 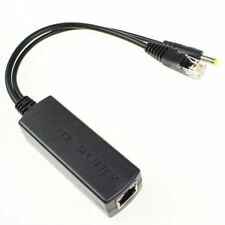 This is a Passive PoE Injector/Splitter with 5.5 x 2.1 mm Connector. This kit has 2 pieces, an Injector and a Splitter. Eliminate the needs to place Ethernet-enabled device near the power outlet. Complete set for wide range of network products such as Access Points. POE to LAN. Power over Ethernet(PoE) technology provides the ideal power. (pairs 1-8). PoE technology utilizesthe remaining pairs(pairs 4-5 and. 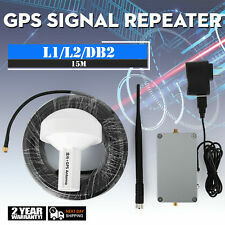 To achieve best performance of a Wireless LAN, the location of. ). .OUR POWER ADAPTER IS NEW & PRE-TESTED FOR STATIC FREE & HUM FREE OPERATION! Power Adapter Has Been Tested And Works With The Magic Jack Plus, Magic Jack Go. 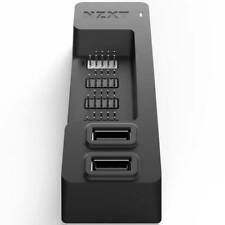 For the student or professional executive on the go, this power adapter is a must! It can separate the power and data via cable transmission. PoE Port: 1 PoE Port. 1x Active PoE Splitter. PoE Port Power: 15.4W. PoE Standard: IEEE 802.3 af. LED Display: PoE power input indicator light,DC output power indicator light. PoE technology utilizesthe remaining pairs(pairs 4-5 and 7-8 to conduct electricity. 1 PoE injector Splitter. Ethernet Data rate:10/100 Mbp. Ethernet Cable:TIA/EIA 568 Cat.5. Ethernet Cable Connector:RJ-45. ). Digi XStick / XStick2 ZB Zigbee USB Stick. Shipped with USPS First Class Package. UBIQUITI 24V DC CARRIER POE ADAPTER. For the student or professional executive on the go, this power adapter is a must!OUR POWER ADAPTER IS NEW & PRE-TESTED FOR STATIC FREE & HUM FREE OPERATION! Power Adapter Has Been Tested And Works With The Magic Jack Plus, Magic Jack Go. Create an integrated PoE and non-PoE Gigabit network. • Passive POE does not comply with the IEEE 802.3af specification. to transmit power to remote device. This one is economic for small DIY installations. Give us the opportunity to resolve a problem. EXCELLENT CONDITION. WORKING CONDITION. Item ID: S52905. NO OTHER PARTS OR ACCESSORIES INCLUDED. Actiontec ECB2500C Ethernet to Coax MoCA Network Adapter . Condition is Manufacturer refurbished. Shipped with USPS Priority Mail. Type:POE Splitter Power. 1pc xPOE Splitter Power. Due to light and screen difference, the item's color may be slightly different from the pictures. We will reply you as soon as possible. Output power:12W. Used once for testing. Output: DC 24V 0.5A (4,5)pins, -(3,6) (7,8)pins. Mount your Velop nodes on nearly any wall with this sleek, space-saving wall mount. Fits All Velop Nodes. CIENA NORTEL NTK554BAE5 OPTICAL SERVICE CHANNEL NEWOB. Condition is New. Local pickup only. 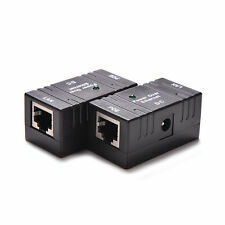 MoCa 2.0 Network Adapters - Actiontec ECB6200 - 2 Units. Condition is Used. Shipped with USPS Priority Mail. Code Academy Pro 5 months Warranty Included! No, you cannot make any changes and if you do, your 5 month warranty will be voided. 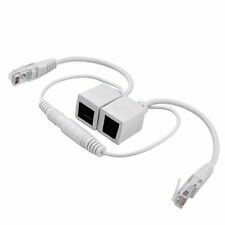 You will enjoy a. new wires (for example Ethernet network). Furthermore MoCA technology will provide the bandwidth reliability. 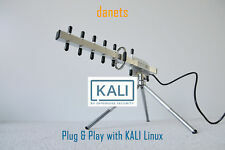 fast Ethernet network connection with high signal quality and have the benefit of not necessarily laying out. Output transmission power: 4/5 positive 7/8 negative pole. 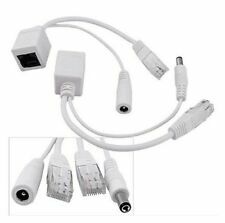 Interface: RJ45, others. Color: Black. Output characteristics. 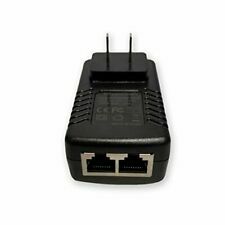 This Ubiquiti Networks PoE adapter, POE-48-24W, is a 48VDC 0.5A injector for use with various airMAX and UniFi products. It features grounding and ESD protection. • Storage Temperature: -30 to 70°C (-22 to 158°F). Ubiquiti UB-AM Antenna Mount for Antenna - Ubiquiti Antenna Mount LOT OF (7). Condition is New. Shipped with UPS Ground. 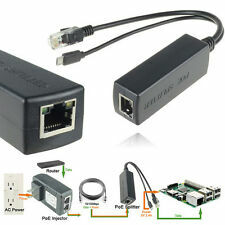 Compatible with Pace 5268AC gateway. 7.6V Lithium-Ion battery.